#BEST DAY EVER! Sasha guided us through the Riviera from Nice to Cannes as if he was a close friend showing off his home town. We were taken to out of the way treasures he knows, not found in humdrum guide books. We had a beautiful day so picked up delicious food and wine and shared a picnic at an overlook with a magnificent view. We even found that we share a love of Tom Petty's music and jammed our way down the mountain, back to our cruise port. Literally, Sasha rocks & we highly recommend him!! We had a wonderful day with Sasha and this tour was a hands down highlight of a month long trip. Sasha was fun to spend the day with and was impressive in his ability to read us and adapt the day to completely suit our needs. It was a day we will remember and all of us highly recommend any tour that Sasha offers as each will be unique and tailored to make your day special. Our family of 5 (2 parents and 3 adult children) arrived in Antibes by cruise ship and were promptly met by Sasha. The day was ours to design but Sasha provided excellent guidance as to what we should see and do in our short visit and to get a taste of the French Riviera. We had a walking tour of Nice and Sasha suggested a picnic for lunch so we stopped for sandwiches and wine (great idea). We had our picnic high on the hill with a beautiful view of Sea. Thanks Sasha, we had a GREAT time. Loved Sasha's attention to detail and commentary. I would definitely recommend his tour to everyone. He was attentive to our requests and extremely accommodating. The 13 members of our group had nothing but praise for the tour. We will be sure to request him the on our next visit. Thank you. Superb tour guide! Sasha is a true professional and extremely knowledgeable. We spent the day with him and enjoyed every minute. He's fun and makes every effort to provide the best tour possible. His van immaculate and comfortable. To be honest, Sasha is the best tour guide we've contracted thru toursbylocals. He will not waste your time and strives to meet every request and need. Sasha was on time, friendly, with a beautiful new car immaculately clean. His enthusiasm and flexibility was immediately engaging not just for me but for my 14 year old son. A feat! Sasha is well read and versed in history, economics, nature, and pop culture. He immediately tailored the tour to our interests and nailed it. He is funny, responsible, and efficient. He is in love with his city and rightfully so. He even took us on a side trip because my son said he wanted one day to have pizza in Italy. This was our first trip to Europe and Sasha was absolutely great!! He was energetic, knew everything about the towns and ports we traveled to, adjusted our tour to meet our needs, and was overall very pleasant to be with. Besides the Vatican this was the BEST tour we did during our 11 days in Europe. Would highly recommend Sasha to anyone traveling to the Cannes and Nice area, and would definitely use him again if we every get to go back. Thanks Sasha for such a great time!!! Sasha was excellent! Just the right blend of history and fun facts. The day could not have been more fun by visiting theee countries in one day. The hidden treasures (without the crowds) from the views to the little Italian village were very special and even a private vantage point for yacht viewing make for a exceptional day that you would never find on your own. Thank you Sasha. This was hands dow one of the best days I have ever had on vacation! Sasha was a delightful, thougtful, knowledgeable, and extremely professional tour guide! 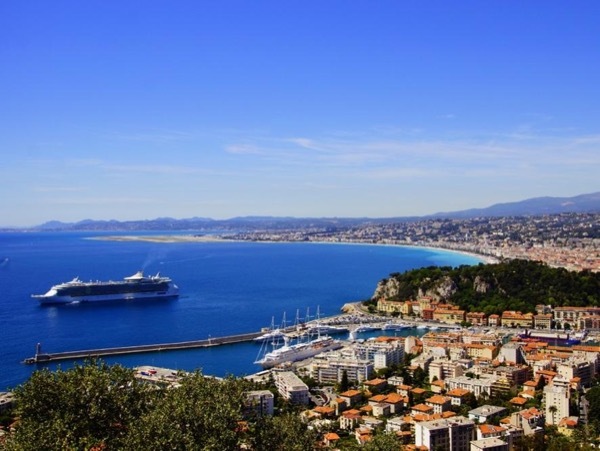 Our tour was a wirlwind pass through the hills of French Riviera, including village of Eze, stunning vista points, and a short trip to Monaco, yet the depth of experience was so great, it would require days on our own to attain. The only thing I regret is not having Sasha the entire duration of our entire vacation. Sasha was terrific. He was knowledgeable and made the trip extra interesting through his commentary, and several stops. He also found a great place for a local lunch, and a beautiful scenic drive overlooking the city of Cassis. Sasha is the perfect guide for the French Rivera. He personalized our trip to our needs. He is personable, very knowledgeable about the south of France and he speaks perfect English. He is FANTASTIC. One of the highlights of our trip was a picnic lunch in Antibes overlooking the Mediterranean after we stopped at a local bakery and wine shop. Book early, he is worth it! Priceless! Great overall tour! Sasha is energetic, knowledgeable, and a pleasure to be around! We loved our night tour of Monaco with Sasha. we were a group of six. He is very knowledgable and showed us an insiders view of the city. He is enthusiastic, dependable, and friendly. It was great to take a ride through the Formula 1 track as well as understand more about the wonderful city and it's surroundings. I would definitely book him again and recommend him highly! Sasha was the absolute best. His knowledge of the entire area was amazing. We covered more ground than we ever expected to cover in our tour. You can not go wrong with this guide. I cannot begin to express how delighted we were with Sasha as our guide on our tour of the Riviera. He was so knowledgeable about the area, provided us with not only the history or the area but antidotes as well. He stopped for photo opportunities in beautiful places, tailored the tour to meet our exact needs, stopped at a local bakery and took us to a lookout point that had a breathtaking view where we had our picnic lunch. I don't think 5 starts is a sufficient rating for this fabulous guide. Sasha is enthusiastic and provided an excellent tour of the French Riviera. He is very knowledgeable and gave us so much information. Wonderful spots with stunning views were throughout the day and Sasha always checked in with us to ensure he was providing a tour that met our expectations. We would recommend him to anyone interested in this type of tour. We had a fantastic day with Sasha. He took us to beautiful spots that were off the beaten path, and gave us a perfect taste of the South of France in one day! He kept the kids engaged the whole time, and they are still talking about how much fun he was! Our Tour was excellent!!! We were a group of 7 (6 adults and my 8 year old son) and Sasha kept our attention and interest with his comments and knowledge the whole tour, from small details to a lot of history he made us love and enjoy the French Riviera. He was able to manage the limited time we had to visit Nice, enjoy views of Eze and drive through Monaco (given physical limitations of our group). Many Thanks Sasha for the professional and excellent tour, picnic and great pictures!!! You are the best!! An outstanding tour! He promptly met our ship in the designated time in a clean and well appointed van. More importantly he ensured that we experienced a tour specific to our interests. In Nice, a waking/eating your through the market. On the way to Monte Carlo, amazing vistas. Felt like a 2-day tour in less than one day as a result of his energy, knowledge, attentiveness, and fun spirit. An amazing day with an amazing guide. Sasha was fantastic -- he was very personable and knowledgeable, and adapted the tour to suit our group. The tour he brought us on was quite enjoyable, and included a number of spectacular vistas and sights that were off the beaten path. The most memorable moments on this tour included the lookout over France, Monaco, and Italy (and the tightrope walkers nearby), as well as the lovely spot he recommended for lunch. We were quite fortunate to have Sasha as our guide and would highly recommend him! Sasha is a WONDERFUL guide ! He took our party of 8 on a perfect day exploring unknown views of the French Riviera. Breathtaking!!! He is so knowledgeable , personable and was like part of our family. We explored the sights, tastes, smells and sounds of the region. I cannot imagine anyone more perfect for this tour. Even arranged a lovely picnic of authentic French cuisine and wine for a picnic overlooking the Mediterranean. Can't say enough good things. Thank you Sasha!!! Far beyond what I expected!!! Sasha is passionate about the French Riviera and provided a fun and highly informative tour. The beautiful sights would have been satisfactory, but the history culture and current facts were additional pluses only a true local could have delivered. Sasha was amazing! Excellent day touring with Sasha. We highly recommended his services. Sasha was one the best guide I have ever had . Very polite informative on everything we asked .His Mercedes Benz was spotless. His knowledge of the area was great.Would recommend Sasha as a 5 star tour guide. We liked Sasha so much we asked him to join us for lunch. There aren't enough stars to rate how wonderful Sasha is! His tours are truly extraordinary and custom to whatever you'd like. He's very customer focused to assure your Riviera dreams do come true! He's reliable, so much fun and has a great sense of humor! He's a fabulous driver and a great photographer. He took some of our favorite photos on our tour for us! Our hopes and desires were truly exceeded with our tours from Sasha. I highly recommend him for anything you need in Southern France! Sasha's tours are truly extraordinary and very custom! I'd asked him to take me to Sainte Baume which was a couple hours drive away. Even though that wasn't one of his regular tours, he happily took me and we had a fabulous time! On the way back, he went out of his way to show me more sights so that my expectations were blown away! He's wonderful and I highly recommend him! I wish I could share with you some of the photos he took of me as they are so professionally done and lovely! He's the best!!! I'm recommending Sasha to all of my friends and I intend to return to Nice for more excursions with him. He was not only reliable, an excellent driver, very knowledgeable about the area but he was so much fun! I had a blast!!! Our time flew together and I saw more of Nice than I ever thought I would! My expectations were exceeded beyond my imagination. He's truly exceptional!!! I highly recommend him! He deserves more stars than this scale contains!